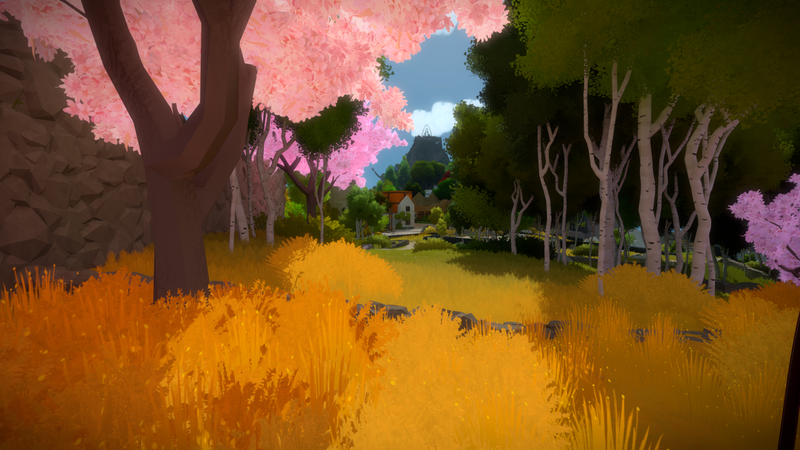 For the past six or seven weeks I’ve been playing Jonathan Blow’s latest video game ‘The Witness’; a beautiful, cel-shaded island full of puzzles and interesting secrets to discover. I’m pleased to say I’ve now completed The Witness and I think even though its only March, it might be the best video game I play this year. Hell, it might be one of the best games I’ve ever played. 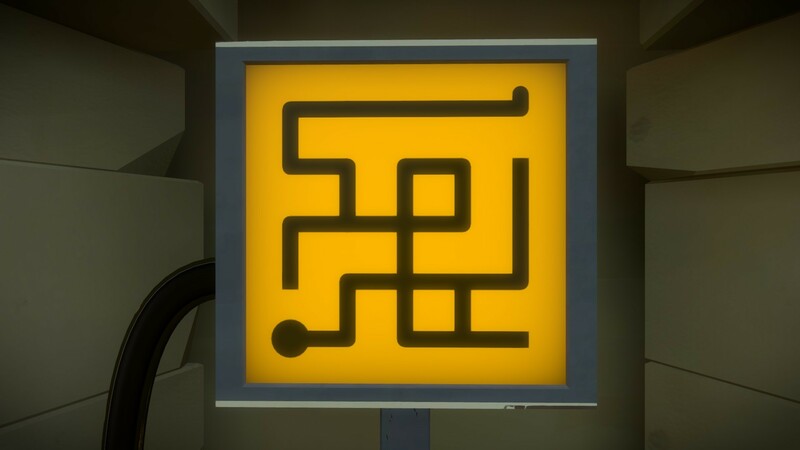 The Witness is one of the most challenging, yet enjoyable games I’ve ever played, its a puzzle game with increasingly difficult puzzles to solve but are clever enough to never frustrate a player into submission. This is a game where a walkthrough is a no-no if you’re ever going to get anything back from the game, a game where you learn to solve more and more complex puzzles without even realising you’re getting better at them; its super clever. Puzzles like the above are scattered all across the world, and start out fairly simple, the idea in the above one is to simply drag from the circle situated bottom left to the end of the half rounded line top right. Sounds easy enoughs, a basic maze puzzle, but these puzzles get much more complex with different rules and even interact with the world itself at certain points making the world part of the overall puzzle. This isnt just a nice looking island with some puzzles on it, every single rock and tree situated through the island is there for a purpose and when both the puzzles and the island are combined into puzzles these were some of my most memorable moments in the game. 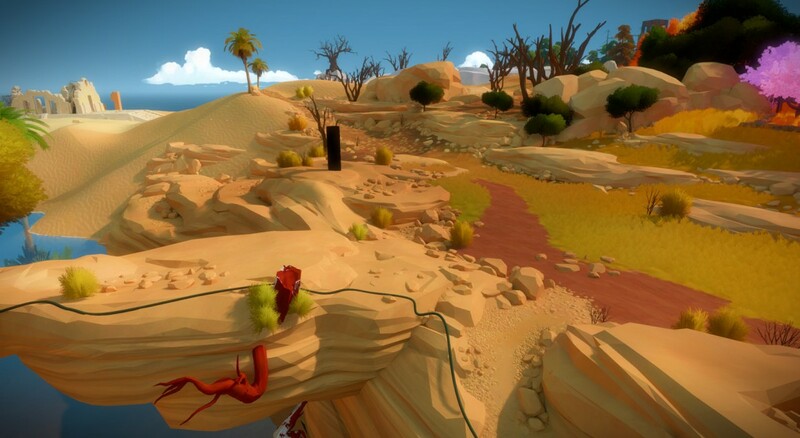 The island which you explore is absolutely beautiful and is split up into multiple sections, all having their own look and puzzle types to solve, I’ve recently discovered the art director who worked on the games personal blog where he goes into amazing detail on how they created the look and the world of the Witness and it’s definitely worth checking out at Luis Antonio’s Blog.